This week we’re trying something a bit new on the ol’ itch.io Recommends post, as we’re featuring not one, not two, but 92 different games. Wait, please don’t run away I promise this post is the usual length. To start things off we have a relaxing bird hangout, continuing onto a surprise horror game, and to top things off I want to highlight the results of an entire game jam. Let’s dive in. I’ve found myself flying a lot lately, but not like this. Designed from the top down to relax and inspire, Feather puts you into the shoes (talons?) of a bird exploring a placid environment with no real conflict. 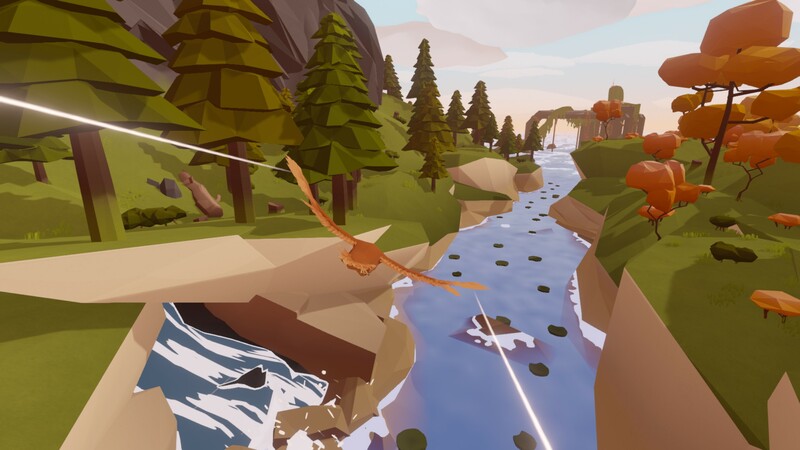 Your bird flies easily and there are no enemies waiting to ground you: Feather is pure soaring bliss and feels like the gaming equivalent of an afternoon under a cozy blanket. I’m very into the trend of relaxing games over the past few years and I’m expecting to come back to Feather for quite a while. As the trees, rivers, and rocks of Feather were whizzing past me on my flight I found myself smiling and feeling happier and more relaxed than I was when I booted the game, and that involuntary joy feels like it should be recommendation enough. On the complete opposite side of the emotional spectrum from Feather is 7 Days in the Fire Mountain. Don’t be fooled by the game’s gorgeous pixel work, Fire Mountain is a horror game through and through. 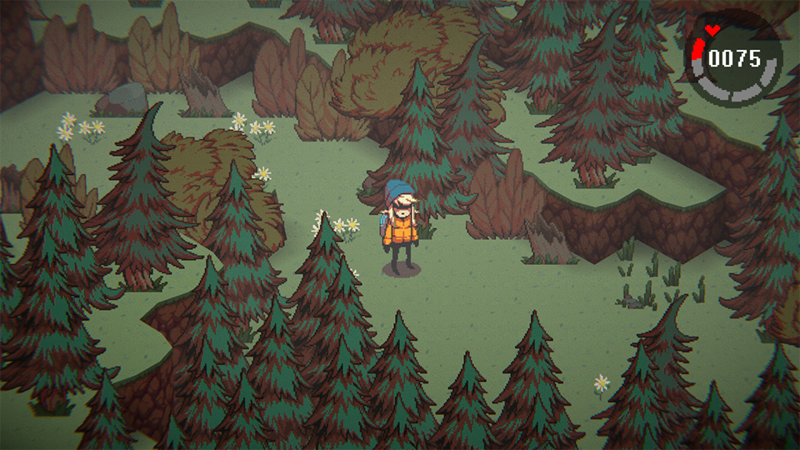 On the minute-to-minute scale, you’ll be wandering around a forest picking up items to get through various obstacles, but the game continually hints that something more sinister is lying just below the surface. It’s a neat push-and-pull as you’re enjoying the world, but reminded that things are getting increasingly worse as time goes on. There’s also a time-limit in play as you only have 7 days to make it to the titular mountain, which adds an interesting pressure to the adventure. To make things even more impressive, Fire Mountain was developed during an internal game jam at Mojiken but if I didn’t know that I could have easily been fooled into thinking there were more resources poured into this project. In retrospect this makes sense as the team at Mojiken consistently makes polished and beautiful projects, but somehow impress me with each release. If you’ve never checked this team’s work out, Fire Mountain is a great place to start. This one is a bit of an odd recommendation as I don’t want to talk about one game in particular, but a nebulous group of them. If you weren’t already aware, NaNoRenO wrapped up just a few days ago and the results are all over itch.io. The annual month-long visual novel jam has produced almost 100 submissions to its official jam page and show a surprising amount of variety for being all one genre. I’ve had a particular fondness for NaNoRenO over the years as several rad visual novels have spun out of the competition, but this year feels particularly stacked. If you have any interest in visual novels or interactive fiction, I’d highly recommend checking out any of the entries that catch your eye. Who knows, maybe the next mega-hit will spin out of one of these entries.